Turkey Trots are one of my favorite types of races. 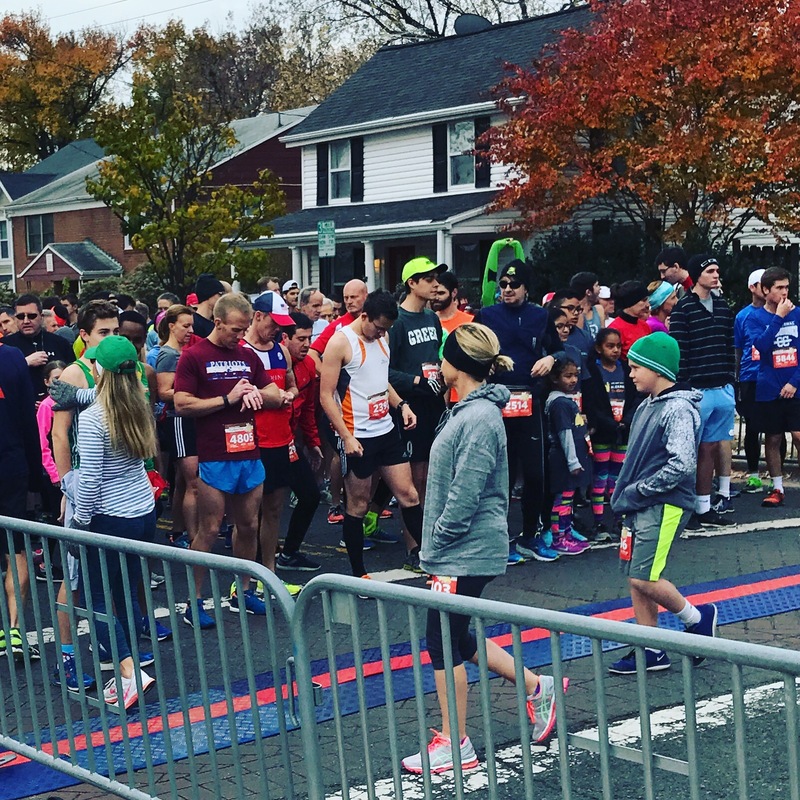 It is always a family friendly event, that brings not only the local running community together, during the holidays, but people of all ages and fitness levels. 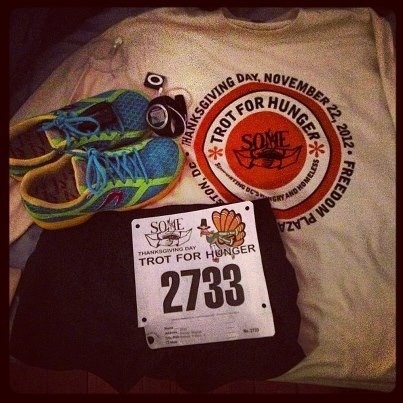 Every year, I run a Turkey Trot, in exception to last year because I was 3 months postpartum. The Turkey Trot gets me up and active early during the day – my workout is done, so then I really can ENJOY all the PIE. This year was Zoe’s first official Turkey Trot. We ran the Alexandria Turkey Trot. It was a five miler in Del Ray. 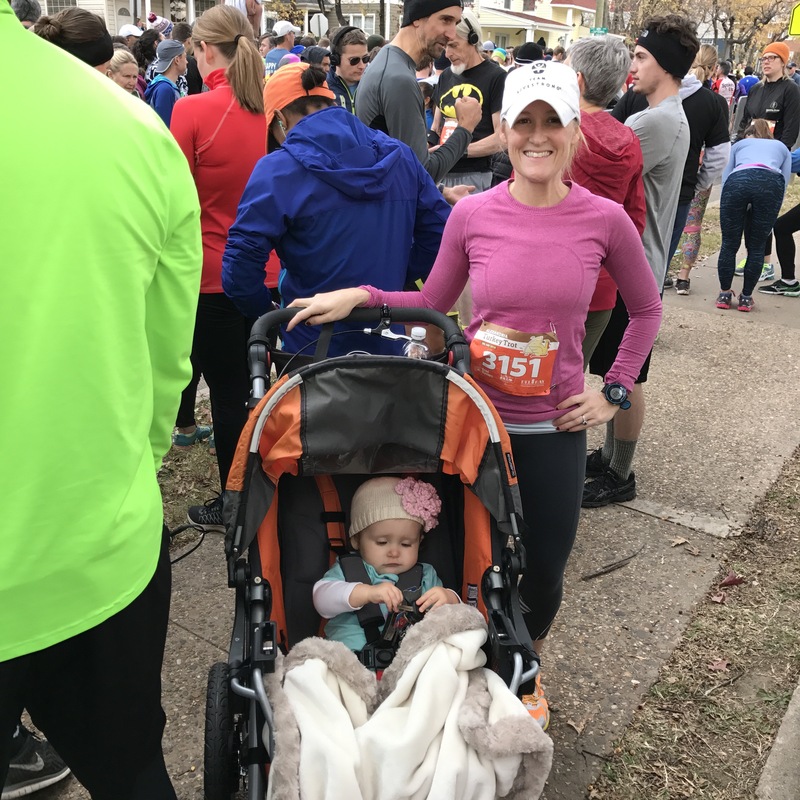 It was my first year running as a mother, with my daughter, and racing with her in the stroller. As you already know, I do all my weekly runs with Zoe and trained for the Marine Corps Marathon pushing her in her stroller. My point is running with a stroller isn’t new to me. Last weekend, I did a small local 5K with Zoe, just to practice. It went well, we even placed 2nd for women. However, this Turkey Trot was on a different level. This was my second race with Zoe, and by far the most crowded. Because of the crowds, running with the stroller was a challenge for the first 2 miles. We arrived 15 minutes early, found parking and headed to the start. There was a different start for strollers and dogs, but I just went to the regular start. I knew it was going to be crowded. At 9:00, we were off. I was barely moving. It was a Turkey Trot, a fun run, so there was no need to speed, but it was driving me crazy that I couldn’t just run comfortably. There were times in the beginning when I felt like I was going to run over some other runners. Weaving with a stroller is hard work, especially with crowds and potholes. Finally, after mile 2, the crowds begin to break up and there was a little more space. It was then that I had more room and could control the stroller better. Zoe kept pointing out all the dogs that were running. I answered back, “You got it babe!” She kept me running faster and laughing the whole way – until we crossed the finish line! Over all, this Turkey Trot was great! It is always a little crowded at first, but once you get passed mile 2 you can really get going. Also the neighborhood crowd support, is awesome! It is also quite fun to have dogs and strollers included. Zoe loves going on runs, and she had a really fun time racing with such a big crowd. 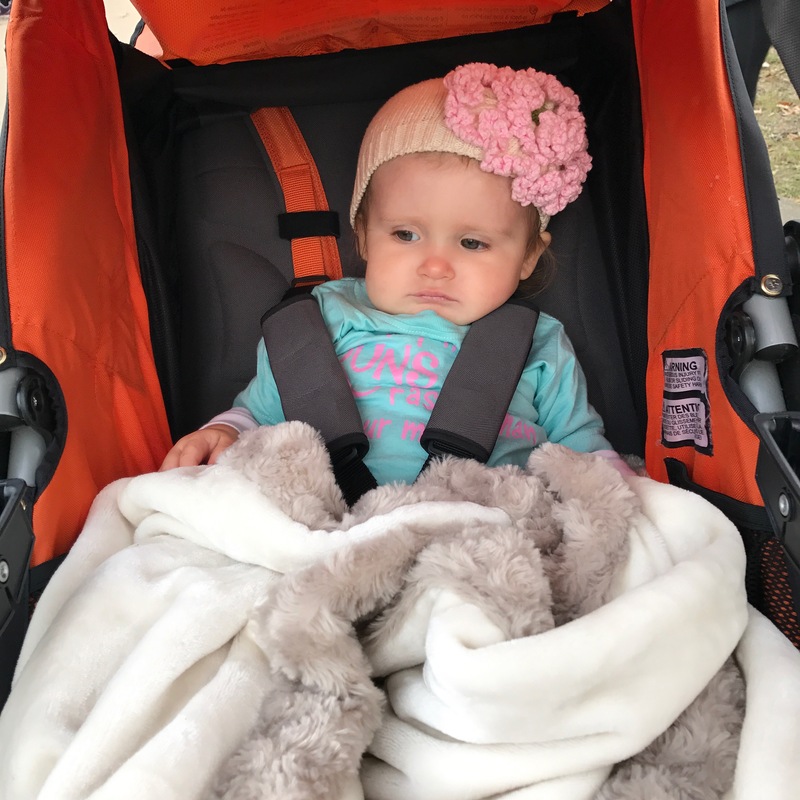 I am so THANKFUL that my sweet little Zoe enjoys her running stroller, and that I am able to share my passion for running & the importance of living a healthy lifestyle, with her. This journey called motherhood is so unique and special. I am also so so so thankful for my sweet Zoe! It is the most amazing thing watching her grow, learn, discover, explore. Always surprising me, she keeps me laughing. And I kiss those cheeks, or she holds my hand … and sometimes, as I look at her, I still can’t believe she’s all mine. Last year I wrote about Turkey Trots and Pies. This year it was all about the Cheesecake! I made a Sweet Potato Cheesecake earlier in November as a test run, so I would be prepared for Thanksgiving. I brought it into the salon and it was gone in 5 minutes. Guess it was good. On Wednesday we had a Thanksgiving feast at the salon. Everyone requested that I make the Sweet Potato Cheesecake again, so I did, along with a big pot of Butternut Squash Soup. Everything was a big hit! So when it came to my family’s Thanksgiving, we all, headed to my mom’s house. Along with some mashed potatoes and root vegetables, I brought over a Sweet Potato Cheesecake with some fresh homemade whipped cream. Yum! As for my Thanksgiving tradition – Running a Turkey Trot. Every year I run a different one in the area. This year, Lina and I ran the Arlington one. It was a 5k of hills. The turkey trot is by far one of my favorite races. I love it for two main reasons, 1) it celebrates fall, 2) it is all about being with family and friends. There are people of all ages including kids, and even some dogs. But at the end of the day, no matter if you are running a turkey trot in the city or not, it always has a neighborhood feel. 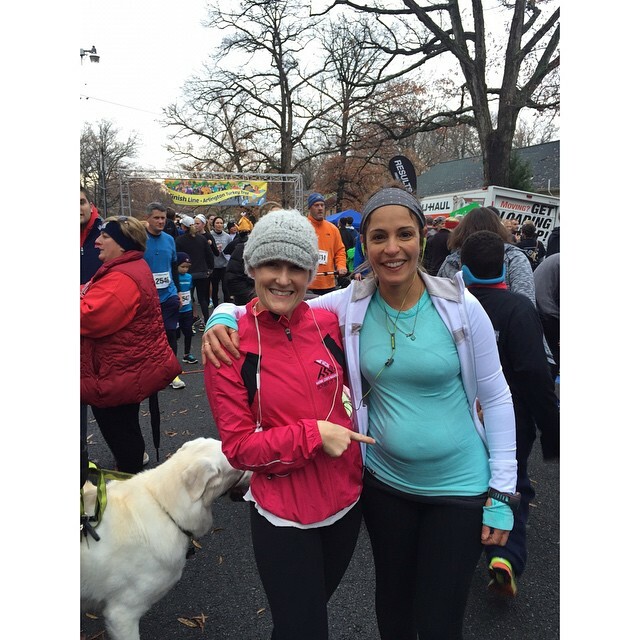 This Turkey Trot was fun for me because I ran with Lina and…. P.S. That is NOT a food baby! Did you run a Turkey Trot? I am always interested in new recipes. What did you make this year? Some of my favorites made the list! Cherry Blossom 10 miler – I run it every year. Jingle All the Way- I’ve run it -gets you in the holiday spirit. 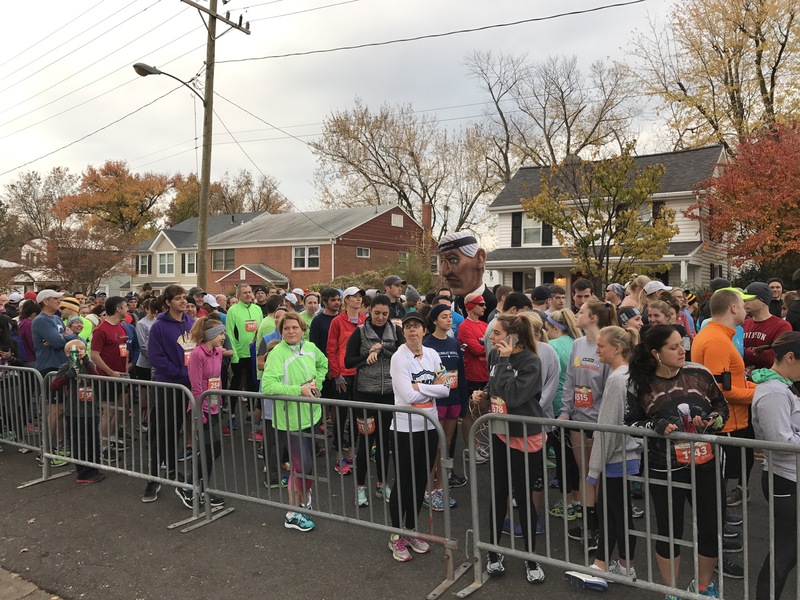 Alexandria Thanksgiving race– ran it this last thanksgiving, it is nice because it is a 5 miler not a just a 5K. MCM my favorite marathon, can’t wait to run it again this year. Pacers – my favorite running store!! I don’t start enjoying a run until mile three. My body needs time to warm up. By the time I am warmed up, found my rhythm, and begin enjoying myself, my 5K race is over. And that is why I hate running 5Ks. However, the Turkey Trot is by far one of my favorite races. Running a Turkey Trot is one of the few, if not the only, 5K I run a year. It feels so amazing, to wake up bright and early on Thanksgiving morning and start the holiday off with a race. I have run a couple different Turkey Trots in the area, but SOME is the best one. The race is located in DC. The route use to be down near Hains Point, but this year the race started on Pennsylvania Ave. I liked this route better, but parking was hard to find. The race is $35, but the money goes to SOME – So Others May Eat. Although, just a 5K, I still did my normal night before race ritual – laying out my race outfit. Ready to run SOME, on Thanksgiving morning. Then jumped in my car. Picked my sister up. Headed to the start. The start was well organized with a view of the Capitol. We lined up near the 8 min/mile pace group. I wore my Newton, Gravity shoes, and my new barefoot running socks. These are the socks that I wore the day of my race. They felt really good, and helped me avoid a blister I get regularly on my third toe when wearing the Newton Gravity shoe. 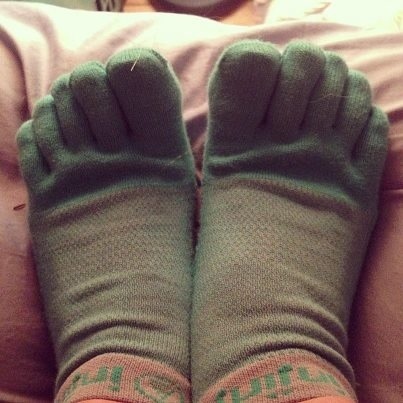 I learned about this product from the blog, Barefoot Monologues. Read a more detailed review on this product here. My sister and I at the race. The race was easy, short, flat, fast. A typical 5K. A typical Turkey Trot. I ended up with a PR of 24:33. Thats a 7:55 min/mile. The best part was that Panera Bread handed out bagels at the finish line. If you are ever in the DC area on Thanksgiving day, I highly recommend this race. 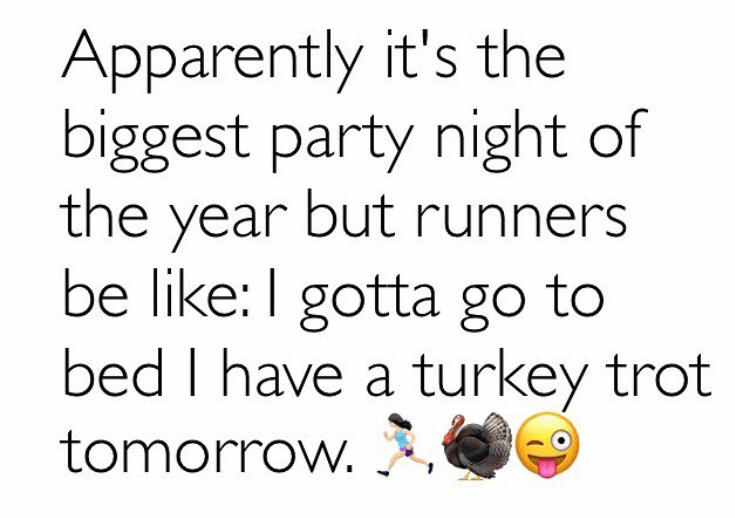 Did you run a Turkey Trot? I finally found time today, around 8 pm, to sit down. This has been a nonstop busy day, week, month, year. Life, my body, started to be painful and exhausting. 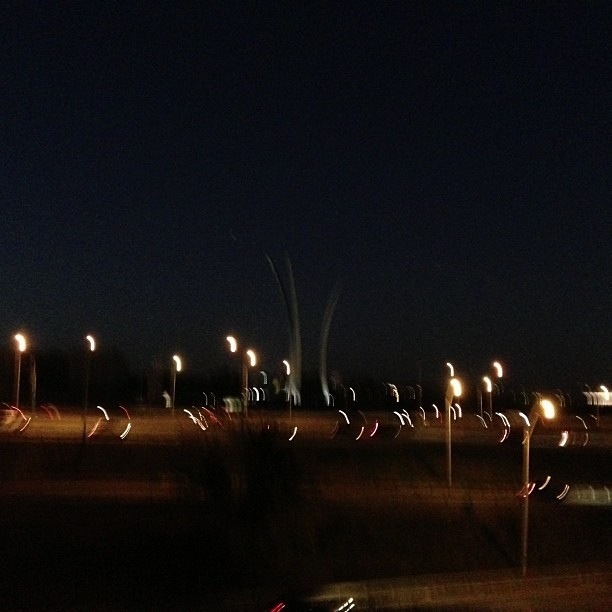 After so many busy days in a row I finally was able to squeeze in a night time run, since my long run on friday. Although, it was just a short, fast, easy 5k – it felt amazing. It was just what my body needed. I usually don’t run at night, but tonight I did and it was peaceful. In the morning, I will be running a turkey trot. It is a Thanksgiving tradition for my sister and I.
I will be wearing my new socks. I can’t wait to try these out. I am looking forward for the next three days off to just relax, breathe, appreciate.